They're not as cute as the extremely popular webkinz, but they are interactive! Have you heard of UB Funkeys? My daughter has a set that she got from my mom for Christmas. The "base" Funkey plugs in to the computer via a USB cable, and she can change which Funkeys she's playing with from the base. On their home page, you can take quizzes, respond to polls, play games, and visit Funkini Island or FunkeysTown with your own collectible Funkeys. There are tabs where you can click on "Who are the Funkeys," "The Funkey Community, and "Funkey Facts." The official description of Funkeys states: U.B. 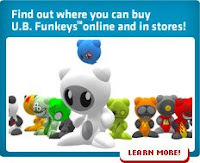 Funkeys™ - the collectible figures that unlock a virtual world filled with games and items. Each Funkey that you collect unlocks new zones. Play the games in the zones you unlock to earn coins to buy items you can customize your “crib” with. Post your virtual world crib online for all of your friends to see! My daughter likes these, and it's a nice break from ClubPenguin, WebKinz, and Runescape, which are three other online places I allow the kids to go. Check it out! Jordan loves the whole webkin thing and has been playing with club penquin for a year or so now. i REALLY love webkins because it has the controlled conversation thing for chat. so i don't have to worry about anyone pervy chatting with her. with club penguin we had to go in and delete people that asked to be her "friend" but that she did not know in real life, since they did not have the controlled convo on their site. controlled conversation: the kids can point and click to send a prewritten message to a friend. and their friends can point and click to choose from prewritten messages to respond. 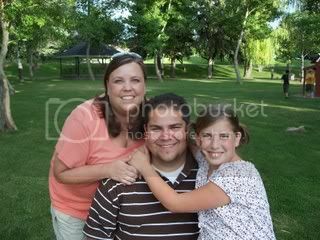 since J is only 12 i don't think she needs to IM in real time with people she does not know. ANYWAY i am going to have to go and check out the other sites you recommended. My kids love club penguin. They don't have any of those toys that plug into the computer, but my daughter has been wanting one. I'll have to check these out. The Sorting Hat Says "Hufflepuff!"